Welcome to Milton Hyundai, your Signature Certified Hyundai dealership in Milton, Ontario. We are presenting the new 2017 Hyundai Sonata & Sonata Hybrid. You can find all the relevant information below. Enjoy! The 2017 Sonata was designed to give you a sense of discovery, excitement and confidence from the moment you get behind the wheel. The expressive exterior embodies our signature Fluidic Sculpture 2.0 design philosophy for a level of refinement and beauty that captivates attention. Engineered using our Advanced High Strength Steel, the highly rigid chassis and finely tuned suspension of the Sonata deliver exceptional handling and ride comfort. Finally, the intuitive and driver-oriented cabin is equipped with a broad array of available advanced safety technologies that allow you to embrace your journey with peace of mind. The 2017 Sonata Hybrid and Plug-in Hybrid are an example of our drive to do better. We didn’t just set out to build electrified versions of our intermediate sedan; we set out to raise the bar for the segment. The strong and sophisticated design of the 2017 Sonata features advanced lighting technology and modern lines. A commanding hexagonal front grille is the focus up front, framed by swept-back headlights and standard LED daytime running lights. From the side, a bold character line spans the length of the vehicle and connects with the available LED tail lights at the rear. This available feature makes loading and unloading your 2017 Sonata more convenient. The hands-free smart trunk unlocks automatically when it senses that the proximity key is within three feet of the vehicle, for more than three seconds. Standard 16” aluminum alloy wheels complement the sophisticated styling of the 2017 Sonata. If your heart desires, go bigger with available 17” or 18” aluminum alloy wheels. Engineered to exceed your expectations, the 2017 Sonata Hybrid offers 380 litres of trunk space for unmatched cargo versatility compared to competing hybrid vehicles♦. Thanks to its innovative design, the Sonata Hybrid’s lithium-ion polymer battery is placed beneath the cargo floor, in turn permitting expanded cargo-carrying capacity through the available 60/40 split-fold rear seats. This means you can travel with hybrid efficiency without compromising on what you can bring along for the ride. Adding to the smart ergonomic layout of the driver-oriented cabin is an array of comfort features, such as standard heated front seats, an available 8-way power-adjustable driver seat with lumbar support and available ventilated front seats. To make shared driving more convenient, the 2017 Sonata Hybrid and Plug-in Hybrid also feature an available integrated memory seat and mirror system that allows you to switch between two settings at the touch of a button. The 2017 Sonata was fine-tuned and put to the ultimate test on Germany’s demanding Nürburgring racing circuit. This punishing process allowed us to craft a vehicle that strikes an ideal balance between handling performance and ride comfort. Under the hood, the standard 2.4L Gasoline Direct Injection (GDI) 4-cylinder engine delivers 185 horsepower. Drivers seeking greater thrust can opt for an available twin-scroll turbocharged 2.0L GDI engine producing 245 horsepower and 260 lb-ft of torque. Both engines offer impressive responsiveness and efficiency thanks to the standard 6-speed automatic transmission with SHIFTRONIC® manual mode. 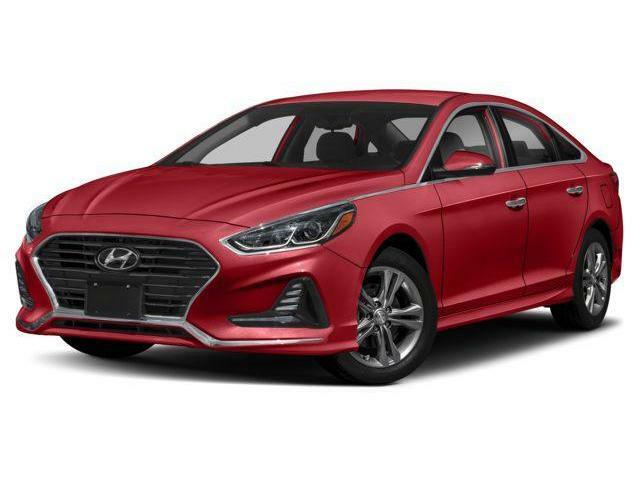 Constructed using Advanced High Strength Steel forged in our own steel mill for exceptional stiffness and rigidity, the 2017 Sonata delivers enhanced driving dynamics and occupant protection. The safety of the ultra rigid frame is coupled with standard equipment such as seven airbags1, including a driver's knee airbag for added protection, and a rearview camera for added ease while reversing. There are also an array of available driver assistance and situational awareness technologies that will provide visual and audible cues as required along your journey to inform you of potential driving dangers. By offering a full-parallel hybrid drive system, the 2017 Sonata Hybrid can run on a gasoline internal combustion engine, an electric motor, or both, creating the perfect blend of power and efficiency. Powered by a 2.0L engine with class-exclusive Gasoline Direct Injection technology♦ and a 38kW electric motor, the Sonata Hybrid delivers a net output of 193 horsepower – with a total estimated range of over 1,100 km on a single tank of gas^. With a larger battery that can be plugged in and charged in under 3 hours◊, the 2017 Sonata Plug-in Hybrid is capable of travelling up to 43 km on electric power alone. Once the electric-only range is depleted, the Sonata Plug-in Hybrid reverts to operate like the traditional Sonata Hybrid, on a full-parallel hybrid drive system.